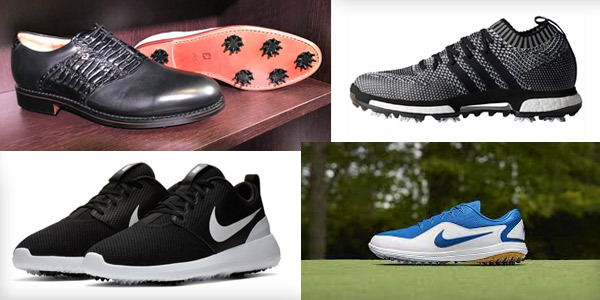 When it comes to golf shoes, golfers fall into three camps: those that feel shoes are part of their equipment, those that prefer to let their shoes make a fashion statement and some that just haven't given it that much thought. The fashionistas are led by style guru Marty Hackel who often waxes poetic on the Golf Channel about colourful ensembles, highlighted by matching footwear. Doug Sanders was certainly one of the founders of this movement when, back in the 50’s and 60’s, he regularly showed up in purple or lime green outfits with shoes to match. More recently we can look to Englishman Ian Poulter who is known to have several hundred pairs of golf shoes to bolster his colourful on-course apparel. Just before the 1990 Honda Classic, the USGA declared John Huston’s shoes illegal. They had a wedge built into the outside of the sole on Huston’s right shoe that was supposed to stop him from swaying too much to the outside on his backswing. Huston discarded the non-conforming shoes and won the tournament anyway. Padraig Harrington is notorious for his demanding requirements when it comes to equipment and has stated on more than one occasion that his shoes were instrumental in a victory. Readers may recall that Harrington was sponsored for a time by Hi Tec and wore a shoe that resembled a small pontoon. There’s no doubt that the outsize sole provided a stable base of support, even if they did nothing for his “look” on the golf course. So, back to the question, are golf shoes equipment or fashion? The good news today is that they’re both. On the fashion front, golf shoes now come in many styles, types and colours and since a number of them come in a spikeless version, they can be worn off the course as well. While I’d never suggest that apparel designers have a limit to what they create, it’s hard to imagine that there isn’t a shoe style and colour combination to match anything they come up with. 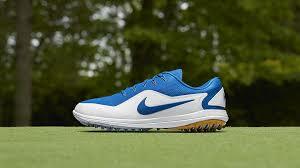 One of the biggest advancements in golf shoe design is comfort. Long gone are the old leather shoes that would soak up about ten pounds of water each on the dawn patrol and then stiffen up so much that next time out it took nine holes just to break then in again. 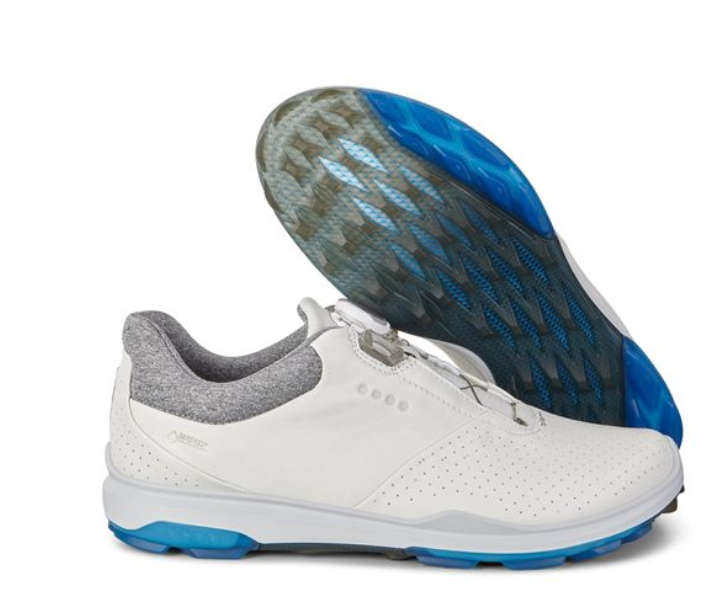 Today’s shoes employ advanced technology in both material and design so that a running shoe style can be as easy to wear for 18 holes as a more classic style. The bigger question about golf shoes now has to do with performance: what is it you want your shoes to do? Since all of them are comfortable, can match any outfit you own and come in every style you want, can they actually improve my game? The answer is: absolutely. That’s the good news anyway. The bad news is that you won’t be able to tell by looking at them on a website. Sure you can pick all the other variables but ultimately, you have to try them on, take a few practice swings or even hit a few balls. Do they give you added stability? Do they match your swing style? Typically, powerful swingers want greater stability underfoot while more fluid swingers crave flexibility. Ironically, it doesn’t matter whether you’re in the equipment camp or the fashion camp when it comes to your golf shoes. Both groups want an answer to the same question: do my golf shoes give me more confidence on the course? Following are some new styles that we’re excited about for 2018 that are sure to improve your wardrobe and your score. 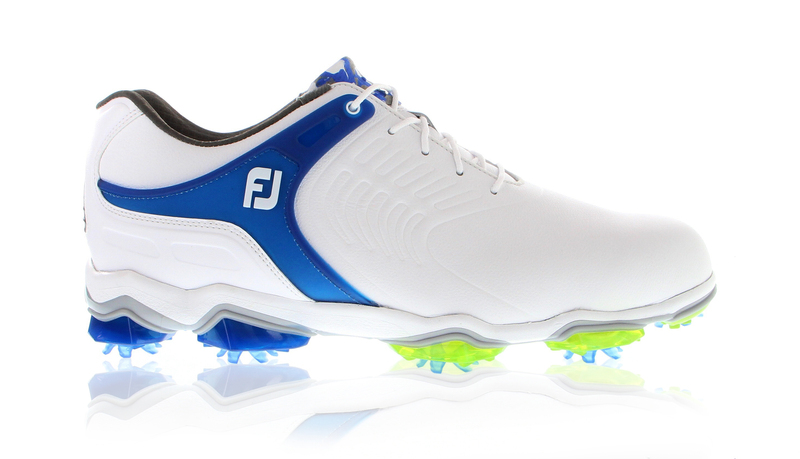 This is the most stable shoe FootJoy has ever designed. The technology is something to behold and it looks great too. Get a closer look at the Tour S here. From their sport performance 360 family, adidas is now offering the tour360 knit. Featuring Climastorm for breathable, water-repellent protection, these men's golf shoes have Boost to return energy on every swing. The wide forefoot enhances comfort and fit, while Primeknit offers ultralight stability. Check out more on the 360 knit here. This shoe is a contemporary blend of form and function. It combines the performance focused Spyder-grip outsole with GoreTex surround technology for added breathability and waterproof protection. One of the most comfortable shoes ever just got better. The new Biom 3 Hybrid features something called a Tri-Fi-Grip. According to Ecco, “the new outsole design ensures multi-purpose zonal performance through three segments: one for stability, another for durability and a third for rotational support. 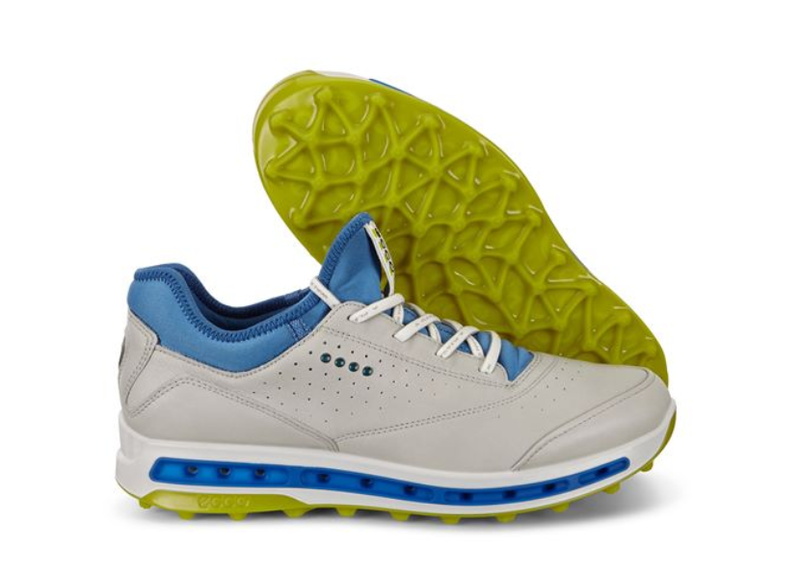 Learn more about the Ecco Biom 3 Hybrid. This new shoe features an outsole with protruding tracks for ultimate grip and traction, Lunarlon cushioning for walk-in comfort and Nike Flywire technology for support. The Nike Roshe sneaker, which has been the go-to choice for lightweight comfort, timeless style and ultimate versatility, is now available as a golf shoe. The Nike "Roshe G" golf shoe blends the signature Roshe mesh upper with a golf-specific outsole for the reliable grip and traction. 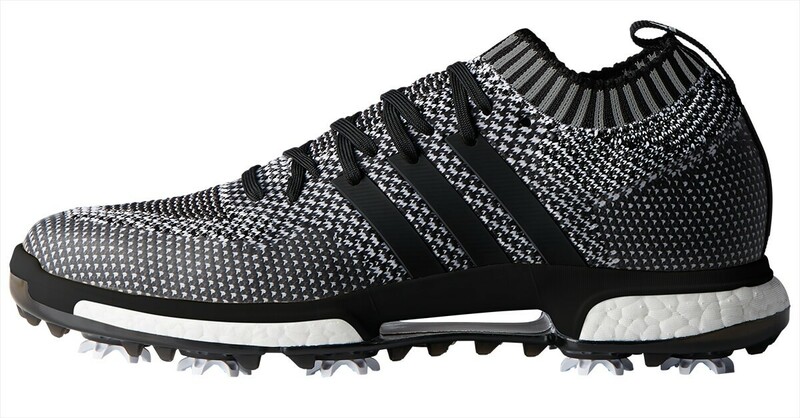 However, this outsole is also made of durable rubber, which means it will be soft enough to wear on any surface off the course too. 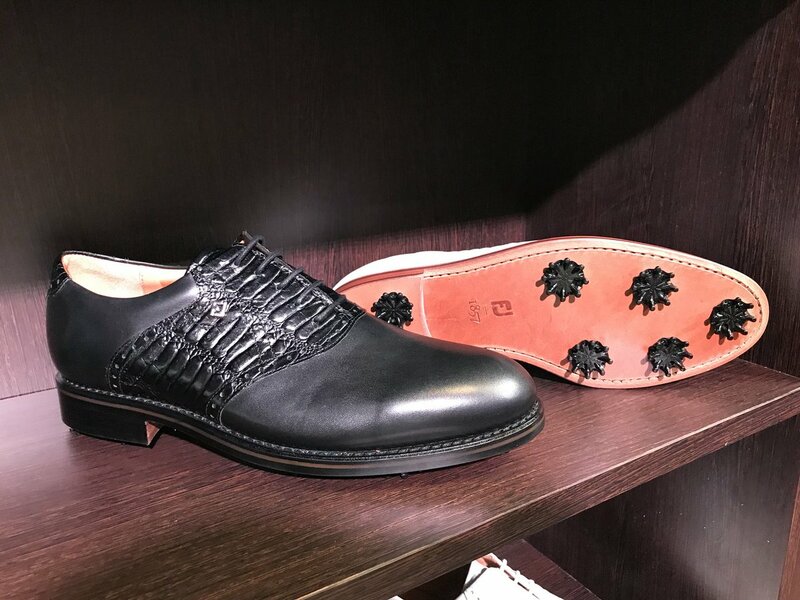 1857 is the year the company was founded and to pay tribute to their history, FootJoy has introduced a line of classic apparel with leather and suede shoes to match. The shoes are hand-made and will be pricey but nostalgic.